Laurie Sheppard, RN, DC, brings extensive chiropractic experience to all of her patients at Total Health Physical Medicine & Rehabilitation Center in Florham Park, New Jersey. For over a decade, she has been a part of the Total Health team, delivering warm, well-rounded care and top-tier chiropractic treatments. Dr. Sheppard earned her doctorate in chiropractic from New York Chiropractic College in Seneca Falls, New York. Not content to rest on her degree, she went on to become certified in impulse adjusting and manipulation under anesthesia (MUA). She completed continuing education in a wide range of health care, including fitness, multiple sclerosis management, nutrition, weight management, breast cancer, and alcohol and drug addiction. 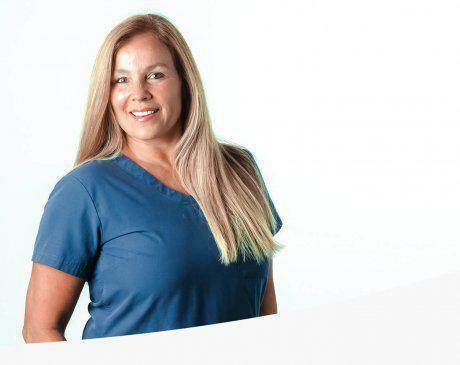 Using her extensive medical knowledge and chiropractic expertise, Dr. Sheppard is skilled in both diagnosing and treating patients, especially those with spinal conditions. Her ultimate goal is to help each patient she sees enjoy a pain-free life. That dedication shows and in 2017 it earned her inclusion on the list of NJ Top Docs. When she’s not helping patients eliminate pain, you can find Dr. Sheppard enjoying time with her husband and three kids, traveling, and working out.